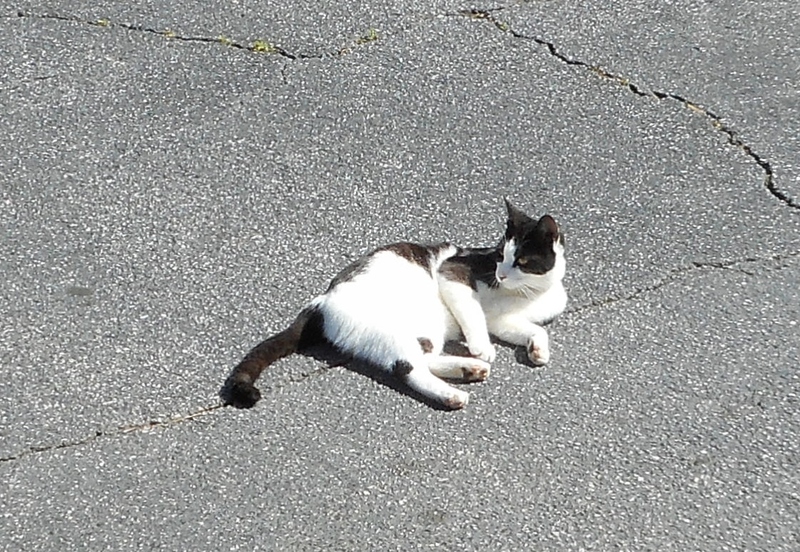 I have not seen her since April 12.
and the responsibility to care for them. are reciprocal, improving the quality of life of all involved. Sometimes, however, a pet disappears. Keep lost pets safe, dear Lord, comfort them, and guide them home. and guide them to take proper actions. and such partings never happen again. and may the lost pet be safe in your care. Beloved of God: Let us draw near with a true heart, and confess our sins to God our Father, asking Him, in the Name of our Lord Jesus Christ, to grant us forgiveness. 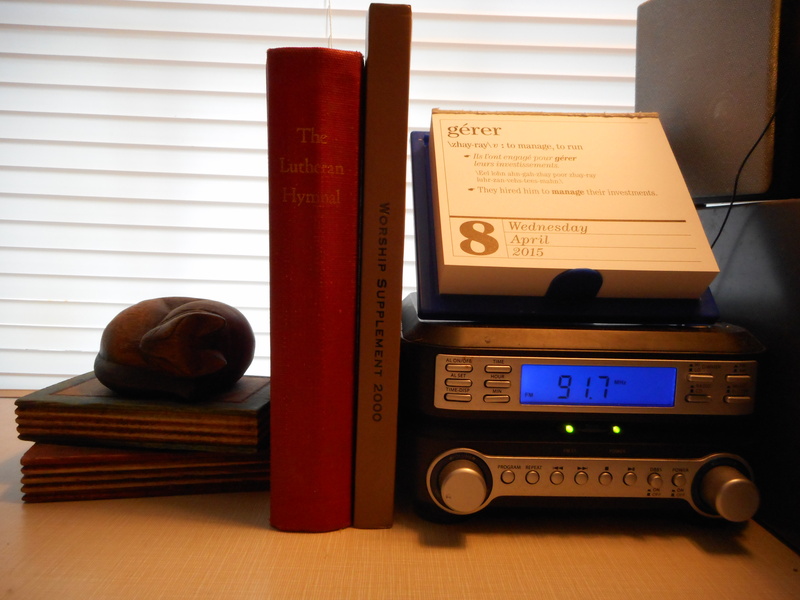 In July 2013 I wrote twenty-one posts in the U.S. Lutheran Liturgy series here at BLOGA THEOLOGICA. Now, almost two years later, I return to that series with this entry, in which I turn to the Church of the Lutheran Confession (CLC). Some historical background is essential to placing this denomination within the context of U.S. Lutheranism. I recall an expression I heard while growing up in United Methodism in southern Georgia, U.S.A. I learned. The same principle applies to Confessional Lutherans. The Lutheran Church–Missouri Synod (LCMS) is conservative, but the Wisconsin Evangelical Lutheran Synod (WELS), with German immigrant origins, and the Evangelical Lutheran Synod (ELS), with Norwegian immigrant roots, stand to its right. To their right one finds the Church of the Lutheran Confession. The LCMS has experienced occasional schisms, mostly to its right. (Most denominational schisms have occurred to the right, not the left, for they have usually happened in the name of purity, not breadth, of doctrine.) The Orthodox Lutheran Conference (OLC) broke away from the LCMS in 1951, citing doctrinal drift in the form of the first part of the Common Confession (1950) with The American Lutheran Church (1930-1960). The OLC experienced subsequent division, reorganizing as the Concordia Lutheran Conference in 1956. Some congregations became independent, others defected to the WELS in 1963, and others joined the Lutheran Churches of the Reformation, another LCMS breakaway group, in 1964. The Evangelical Lutheran Synodical Conference of North America (1872-1967, although inactive from 1966 to 1967), was an umbrella organization of Confessional Lutheran denominations. It member synods varied over time, with some denominations leaving it due to doctrinal differences, but it consisted of four synods toward the end. Those were the LCMS, the ELS, the WELS, and the Synod of Evangelical Lutheran Churches (SELC). 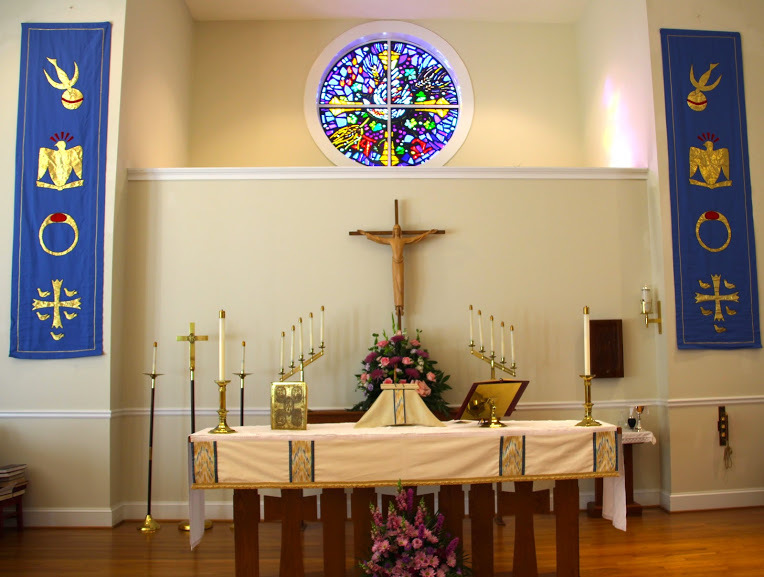 The WELS and the ELS departed in 1963, after years of condemning the LCMS of consorting with heretical Lutheran denominations, such as the 1930-1960 and 1960-1987 incarnations of The American Lutheran Church. The SELC merged into the LCMS, becoming the SELC District thereof, in 1971. The Church of the Lutheran Confession, formed in 1960, attracted members from the LCMS, the Concordia Lutheran Conference, the ELS, and primarily from the WELS. Its raison d’etre was to oppose unionism, or ecumenism with alleged heretics, and to stand for pure doctrine, as it understood it. That purpose continues, as the official website of the denomination attests. Although some CLC pastors have prepared liturgies, the two official service book-hymnals of the denomination are The Lutheran Hymnal (1941) and Worship Supplement 2000. 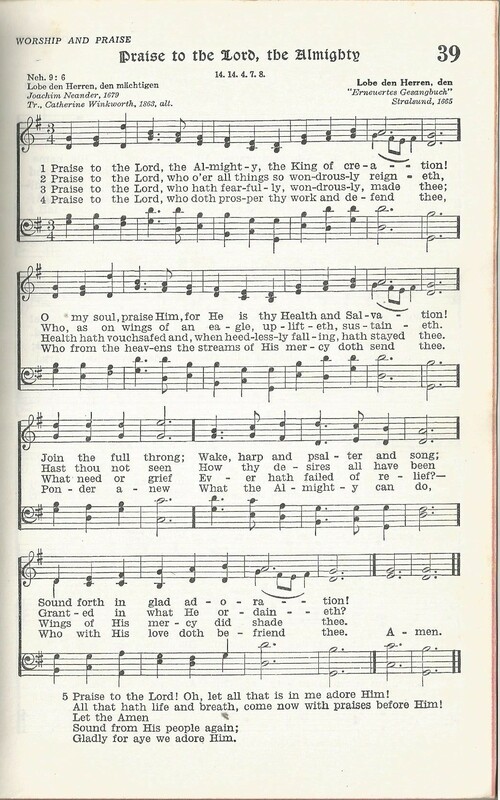 The Lutheran Hymnal (1941), a product of the former Synodical Conference, remains one of the most influential hymnals in U.S. Lutheranism. The denominations which authorized it have published official successors to it–the LCMS (with its SELC District) in 1982 and 2006, the WELS in 1993, and the ELS in 1996. Nevertheless, The Lutheran Hymnal remains in use in some congregations of those bodies as well as in the CLC. Language and hymnody move along, however, hence the existence of Worship Supplement 2000. The volume contains three services, a small selection of Psalms, and 100 hymns. The book itself is a sturdy hardback measuring 23.4 x 15.5 x 1.8 centimeters, making it taller, wider, and thinner than my copy of The Lutheran Hymnal. The paper is thick, of high quality, and the fonts are attractive and clear. The Service of the Sacrament (except for the last two parts, optional most Sundays)–Sanctus, Words of Institution, Agnus Dei, Distribution, Thanksgiving, Hymn and Benediction. Setting 1 is an updated version of the basic service from The Lutheran Hymnal. Setting 2 is a more recent rite with different language. As with other Confessional Lutheran worship resources, the church is “Christian,” not “catholic,” in the Creeds. The Eucharistic rites, consistent with most Confessional Lutheran practice, lack the Canon, present in Roman Catholic and Anglican liturgies. Upon this your confession, I, by virtue of my office as a called and ordained servant of the Word, announce the grace of God to all of you, and in the stead and by the command of my Lord Jesus Christ I forgive you all your sins in the name of the Father and of the Son and of the Holy Spirit. Amen. Historic practice in most of the denominations which merged over time in phases to constitute the Evangelical Lutheran Church in America (ELCA) was for the presiding minister to announce God’s forgiveness of sin. With the Lutheran Book of Worship (1978), however, the option of the minister forgiving sins entered the liturgy. It has remained. James Gerhardt Sucha’s unofficial supplement to the Lutheran Book of Worship (1978), The Service Hymnal: A Lutheran Homecoming (2001) lacks the “I forgive you” language. The practice in the WELS, however, is to use only the “I forgive you” form of the absolution. Portions of Psalms arranged topically fill pages 25-42 of the book. The presentation of these texts is such that a congregation may either read, sing, or chant them. The texts come from, in order, Psalms 24, 96, 81, 51, 118, 2, 51, 45, 91, 30, 100, 23, 66, 84, 38, 85, 146, and 121. 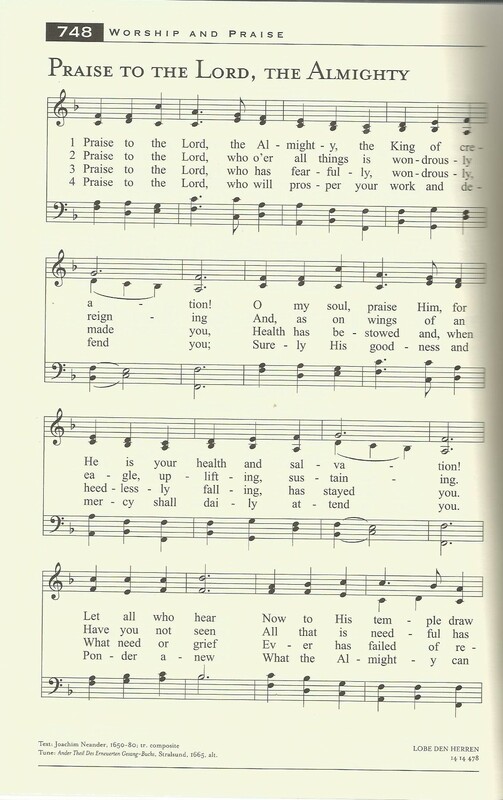 Many of the hymns are absent from The Lutheran Hymnal (1941) for various reasons, including chronology. Thus some Brian Wren texts appear in Worship Supplement 2000. However, certain hymns which were old in 1941 and absent from The Lutheran Hymnal are present. So are some hymns which are present in The Lutheran Hymnal. Their versions from 2000 contain updated translations and modernized pronouns. I commend the editor for avoiding “seven-eleven” songs, which come from the shallow end of the theological gene pool and are popular with devotees of contemporary worship. Notice the updated language and the altered tune. Worship Supplement 2000 ends with copyright acknowledgments and with indices. There are two indices–first lines and hymn tunes. Worship Supplement 2000, as a book, has much to commend it. This statement applies to the quality of the binding, the thickness of the paper, and the readability of the fonts as much as to the contents. I write this despite the fact that, according the Church of the Lutheran Confession, I am probably going to Hell. (And I think of myself as an observant Christian!) The matters of my salvation, however, reside in the purview of God, not any denomination. I have provided some documentation via hyperlinks. A list of books I have used to prepare this post follows. American Lutheran Hymnal. Columbus, OH: Lutheran Book Concern, 1930. Christian Worship: A Lutheran Hymnal. Milwaukee, WI: Northwestern Publishing House, 1993. Christian Worship: Supplement. Milwaukee, WI: Northwestern Publishing House, 2008. Common Service Book of the Lutheran Church. Philadelphia, PA: Board of Publication of the United Lutheran Church in America, 1918. Evangelical Lutheran Hymnary. St. Louis, MO: MorningStar Music Publishers, Inc., 1996. Evangelical Lutheran Worship. Minneapolis, MN: Augsburg Fortress, 2006. Hymnal for Church and Home. Third Edition. Blair, NE: Danish Lutheran Publishing House, 1938. Hymnal Supplement 98. St. Louis, MO: Concordia Publishing House, 1998. Lutheran Book of Worship. Minneapolis, MO: Augsburg Publishing House, 1978. Reprint, 1990. The Lutheran Hymnal. St. Louis, MO: Concordia Publishing House, 1941. The Lutheran Hymnary. Minneapolis, MN: Augsburg Publishing House. 1935. Lutheran Service Book. St. Louis, MO: Concordia Publishing House, 2006. Lutheran Worship. St. Louis, MO: Concordia Publishing House, 1982. Reprint, 1986. The Service Hymnal: A Lutheran Homecoming. Edited by James Gerhardt Sucha. Boulder, CO: Voice of the Rockies Publishing, 2001. With One Voice: A Lutheran Resource for Worship. Minneapolis, MO: Augsburg Fortress, 1995. Worship Supplement. St. Louis, MO: Concordia Publishing House, 1969. 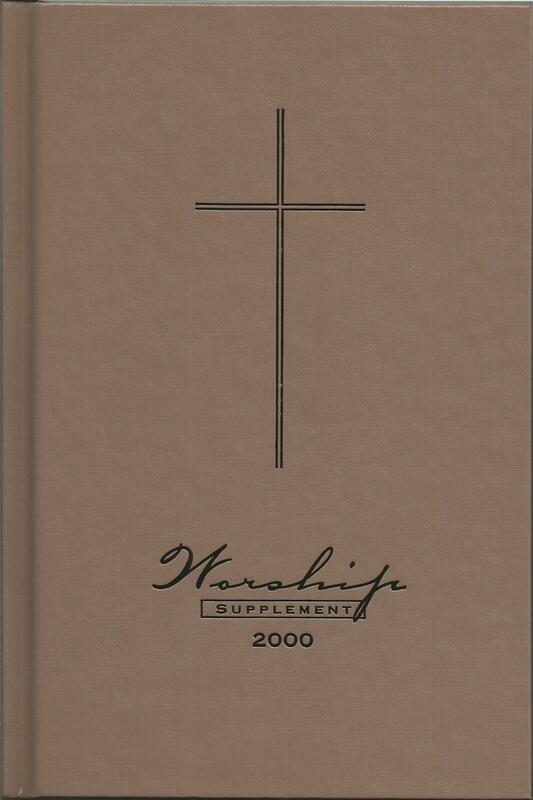 Worship Supplement 2000. Compiled and Edited by John C. Reim. Eau Claire, WI: Church of the Lutheran Confession, 2000. Reprint, 2007.
you place your gifts before us; we eat and are satisfied. and his mercy endures for ever. that he rendered them from the hand of the foe. Repentance is an option, even late in the game, so to speak. God, who glorifies the chosen people and remains faithful to divine promises, invites those who need to change their minds and ways to do so. The more people who are present at the divine banquet, the merrier. Speaking of banquets, Mark 8:1-10 tells of Jesus feeding 4000 people (not just men) with a few fishes and loaves of bread. I refuse to try to explain the Feeding of the 4000 and the 5000 (Plus) (Mark 6:30-44) rationally for the same reason, which is that to do so is address the wrong question. I focus instead on one detail: there was more afterward than before. Some people think that they have nothing to offer or that what they have to offer is inadequate, so they do not offer it to God for divine purposes. God, however, can multiply those gifts and talents, leaving leftovers. Many people need to repent of their failure to trust in God’s strength instead of their own. These are not evil people, just weak ones with psychological and emotional issues. At some point in each of us has been among this population. Others of us remain in their ranks. The graciousness of God to the Hebrews in Isaiah 55 benefited the world (verse 5). God’s blessings to any one of us can and should benefit others. If we trust God to multiply that which we have to offer, as meager as it might seem, it will enrich the lives of more people than we can imagine, for the glory of God. and consider well the mercies of the LORD. Sometimes the Bible harps on a theme, repeating itself. I notice this most readily while following a well-constructed lectionary and trying to find new ways to make one post in a series based on that lectionary read differently than some of its preceding posts. This is easier on some occasions than on others. The repeated theme this time is that we humans depend on God for everything, rely on each other, and are responsible to and for each other. I have written about this many times, including in the previous post. We ought not to cling to the idol of self-sufficiency, the assigned readings tell us. No, we have a responsibility to trust and obey God, who is faithful to divine promises. God, who fed the former Hebrew slaves in the desert, calls people to lead holy lives marked by the renewing of minds and the building up of the community of faith. Love–agape–in 1 Corinthians 13, which follows on the heels of the reading from 1 Corinthians 12, is selfless, self-sacrificial love, a virtue greater than faith and hope. If acceptance of our insufficiency injures our self-esteem, so be it. Humility is a virtue greater than ego. Actually, a balanced ego–a realistic sense of oneself–is a virtue which includes humility. Raging egos and weak egos are problems which lead to the same results–destroyed and missed opportunities, lives of selfishness, and the failure to acknowledge one’s complete dependence on God. The desire to build up oneself at the expense of others damages not only one but the group(s) to which one belongs and the people around one. May the love which 1 Corinthians 13 describes define our lives, by grace. May acceptance of our total dependence upon God, our reliance upon each other, and our responsibilities to and for each other define our lives, by grace. And may a faithful walk with God, who is trustworthy, define our lives, by grace. The Passover meal, from which we Christians derive the Holy Eucharist, originates from the context of divine liberation of slaves from an empire founded upon violence, oppression, and exploitation. The Passover meal is a communal spiritual exercise, a rite of unity and a reminder of human dependence on God. The readings from 1 Corinthians 11 refer to abuses of the agape meal, or the love feast, from which the Sacrament of the Holy Eucharist evolved. There was a sacred potluck meal inside house churches. The idea was that people gave as they were able and received as they had need to do so. There was enough for everybody to have enough–a spiritual principle of the Kingdom of God–when all went was it was supposed to do. Unfortunately, in the Corinthian church, some of the wealthy members were eating at home prior to services, thus they chose not to share with less fortunate, who did not have access to enough good meals. This bad attitude led to the love feast becoming a means of division–especially of class distinctions–not of unity, and therefore of unworthy consumption of the sacrament by some. Is not becoming drunk at a love feast an example of unworthy consumption? And is not partaking of the sacrament with a selfish attitude toward one’s fellow church members an example of unworthy consumption? “The leaven of the Pharisees and the Sadducees” (Matthew 16:6) refers to forms of piety which depend upon wealth, thereby writing off the poor “great unwashed” as less pious and defining the self-proclaimed spiritual elites as supposedly holier. 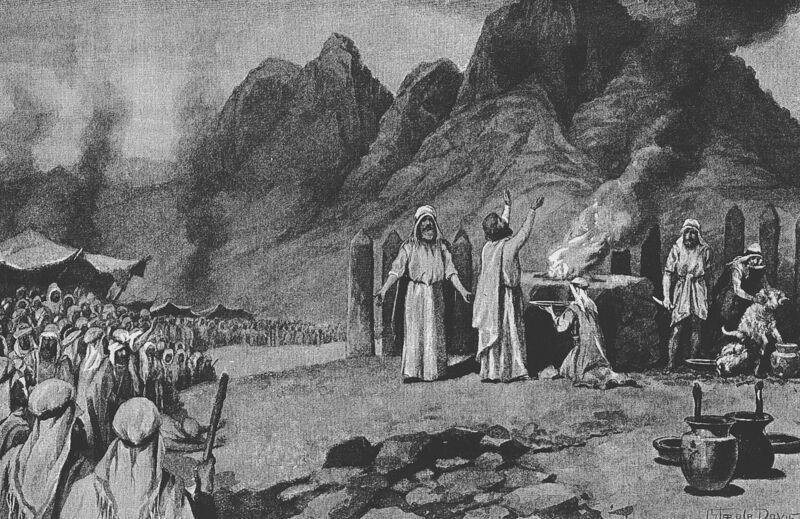 The Pharisees and the Sadducees, who collaborated with the Roman occupiers, could afford to pay religious fees, but most people in Judea lived a hand-to-mouth existence. The combination of Roman and local taxes, fees, and tolls was oppressive. And keeping the purity codes while struggling just to survive was impossible. Jesus argued against forms of piety which perpetuated artificial inequality and ignored the reality that all people depend entirely on God, rely on each other, and are responsible to and for each other. To this day teaching that we depend entirely upon God, rely on each other, and are responsible to and for each other will get one in trouble in some churches. I recall some of the congregations in which I grew up. I think in particular of conversations between and among parishioners, many of whom considered such ideas too far to the theological and political left for their comfort. Many of them labored under the illusion of rugged individualism and embraced the “pull yourself up by your own bootstraps” mentality. Those ideas, however, were (and remain) inconsistent with the biblical concepts of mutuality and recognition of total dependence upon God. May we put those idols away and love our neighbors as we love ourselves. he remembers his covenant for ever. 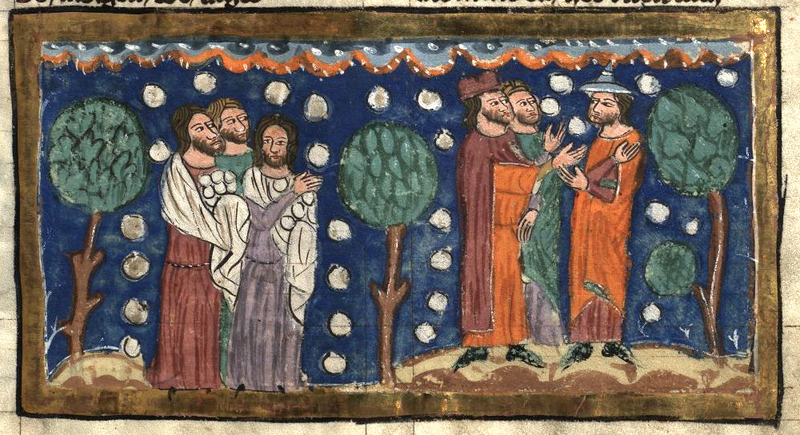 This is a post about four banquets: the divine coronation feast in Isaiah 25:6-10a, the sordid feast of Herod Antipas in Mark 6:14-29, the Feeding of the 5000 (Plus) in Mark 6:30-44, and the Holy Eucharist. The reading from Isaiah 25 speaks of a time immediately after Yahweh has defeated pride, evil, and sorrow, and established the Kingdom of God, in its fullness, on the Earth. This is a time in our future. All people are welcome at Yahweh’s coronation feast, to take place on Mount Zion, in Jerusalem. All is well, except for those whom God has vanquished, namely the Moabites (25:10). Our next two banquets, which stand is stark contrast to each other, come from Mark 6. 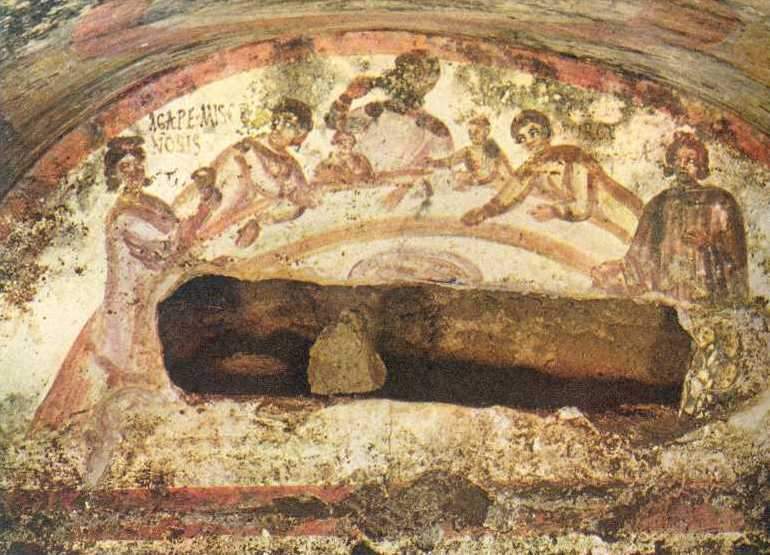 The first is a sordid event, with Herod Antipas lusting after the seductive Salome (whose name and image come to us via archaeology, not the Bible) and making a hasty promise which leads to the execution of St. John the Baptist. The Herodian family tree was complicated, for both Herodias and her daughter, Salome, were granddaughters of Herod the Great via different women. Herod Antipas, a son of Herod the Great via a third woman, married Herodias, who had been the wife of a half-brother of Herod Antipas. Thus Salome was the step-daughter and a cousin of Herod Antipas. Nothing we bring to Jesus is inadequate in his capable hands. There will be leftovers after he has finished working with it. We are insufficient by ourselves yet more than sufficient in Christ. That is what grace can effect. The eucharistic imagery in Mark 6 points to the fourth banquet, which I, as an Episcopalian, celebrate at least once weekly. The Holy Eucharist has constituted the core of my spiritual life since childhood. One reason I left the United Methodism of my youth was to have the opportunities to partake of the sacrament more often. In the Holy Eucharist I meet Jesus in the forms of bread and wine and swear loyalty to him again. No, I am not worthy on my merit (such as it is) to do this, but I rely on his merits to make me worthy to do so. The first step to becoming worthy is acknowledging one’s unworthiness. The contrast between human systems built on the foundation of violence, exploitation, and oppression on one hand and the Kingdom of God on the other hand is clear. Injustice and artificial scarcity characterize the former, but justice and abundance for all distinguish the latter. We can experience a foretaste of the Kingdom of God, which is partially present already, but we await the fullness of the Kingdom. Until then we can, at least, leave the world better off than we found it. No effort toward this goal is too little in Christ’s capable hands. in the assembly, the gathering of honest men. St. Paul the Apostle planned to travel to Jerusalem then to Rome then to Spain. 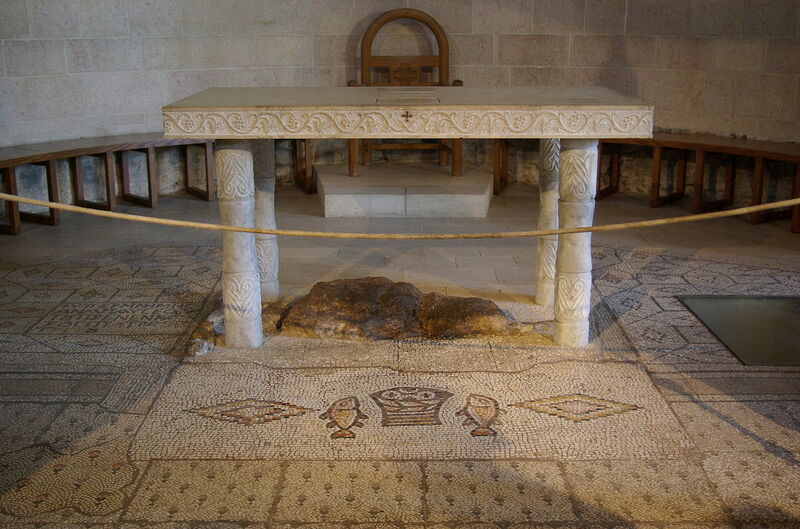 Events of his time in Jerusalem led to his permanent relocation to Rome, where he died, however. The pericope from Exodus 24 describes part of the ceremony by which the former Hebrew slaves accepted the covenant. The theology of that text holds that divine holiness was lethal to most mortals (Moses being a notable exception), but that the people saw a reflection of God safely. God was like the Sun in that way in that passage. On the other hand, Jesus, as God incarnate, was among people, with many of whom he ate, so the theology of lethal divine holiness did not apply in the Gospels. Theology changed between the Book of Exodus and the Gospel of Mark. My main point in this post concerns communities of faith, however. St. Paul longed to travel to Rome to find spiritual refreshment at the congregation there. The covenant in Exodus was between God and the people. Too much emphasis on individualism, an aspect of Western civilization, has long hampered a correct understanding of parts of the Bible in the global West. Roman Catholicism has understood the focus on faith community well, fortunately, but my encounters with certain fundamentalist Protestants with “Jesus-and-me” theology have proven to be discouraging. We humans have responsibilities to and for each other. We also depend on God for everything and rely on each other’s labor. Nobody is a self-made person, therefore. These principles apply to faith communities also; we need each other. May we know this to be true then act accordingly.